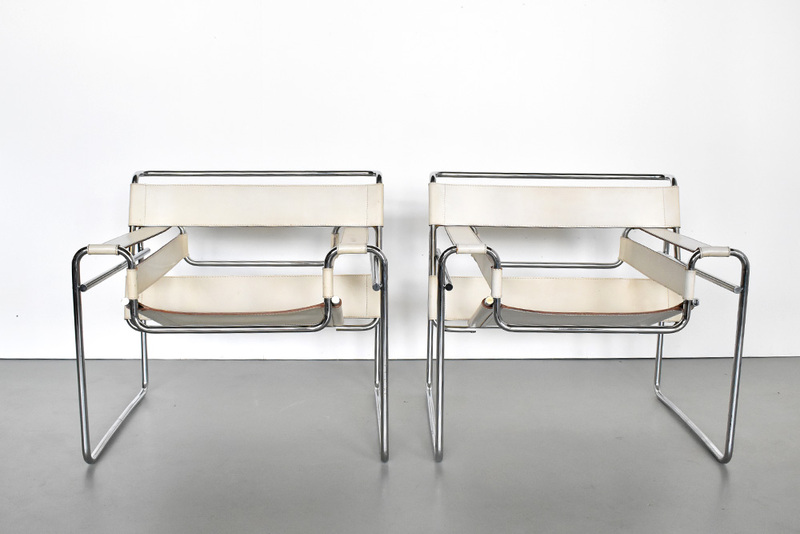 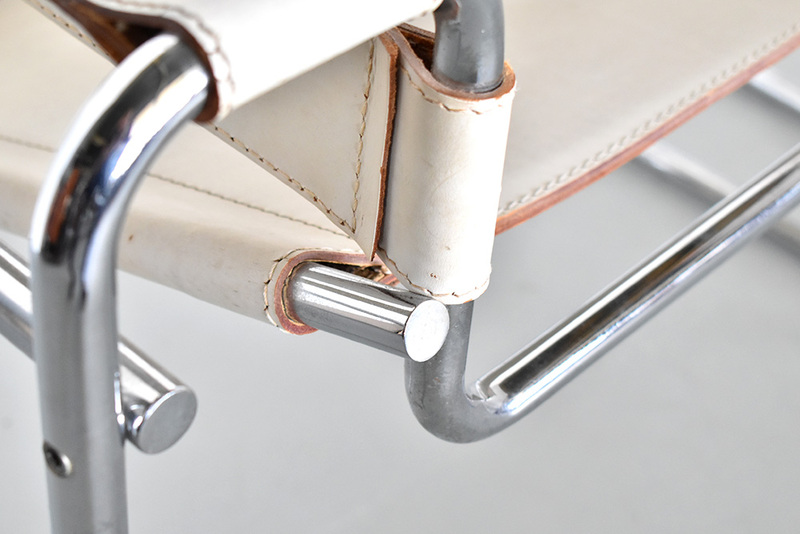 Beautiful set of 2 white saddle leather Wassily B3 lounge chairs designed by Marcel Breuer and produced by Gavina in the 1960s. 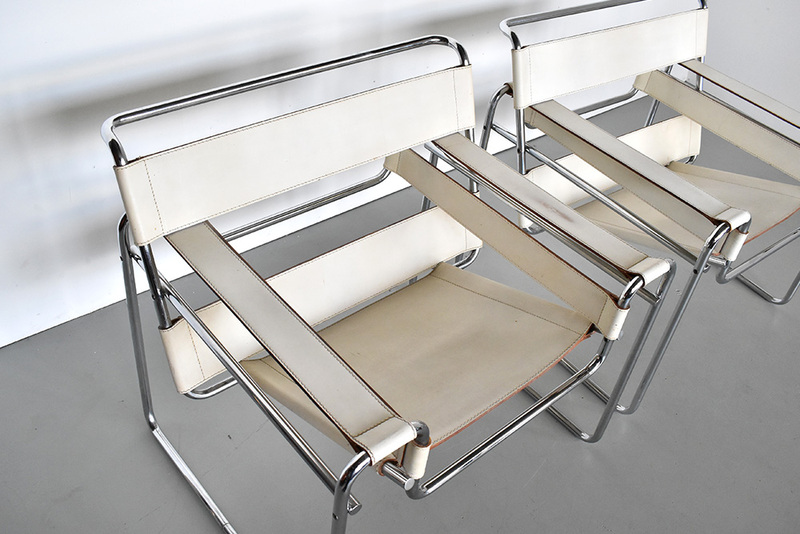 Most of Breuer’s early designs were produced under license by the Berlin-based manufacturer, Standard-Möbel, Lengyel & Company. 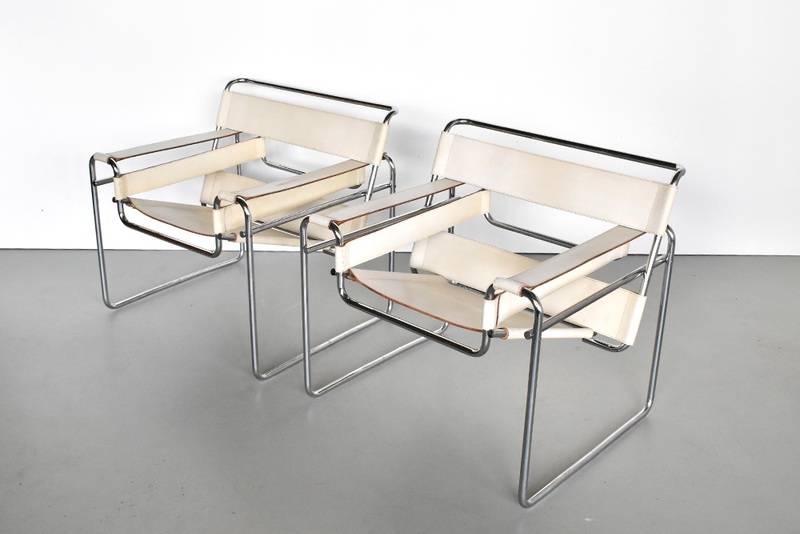 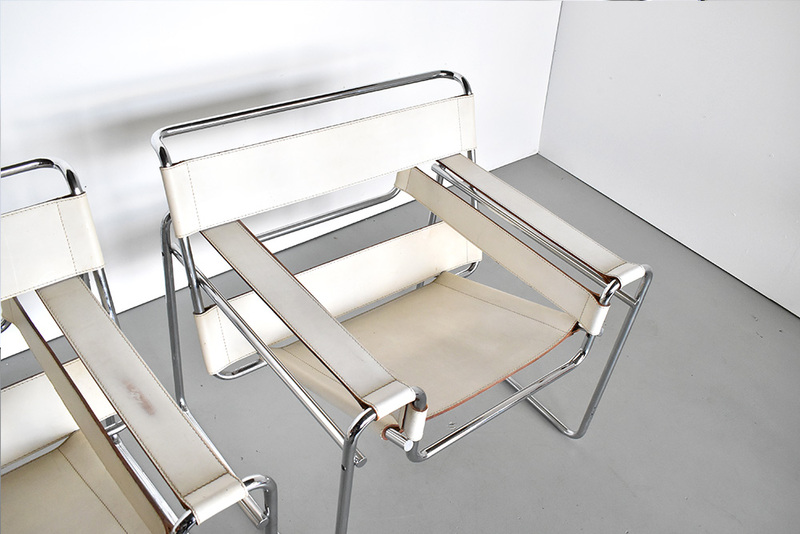 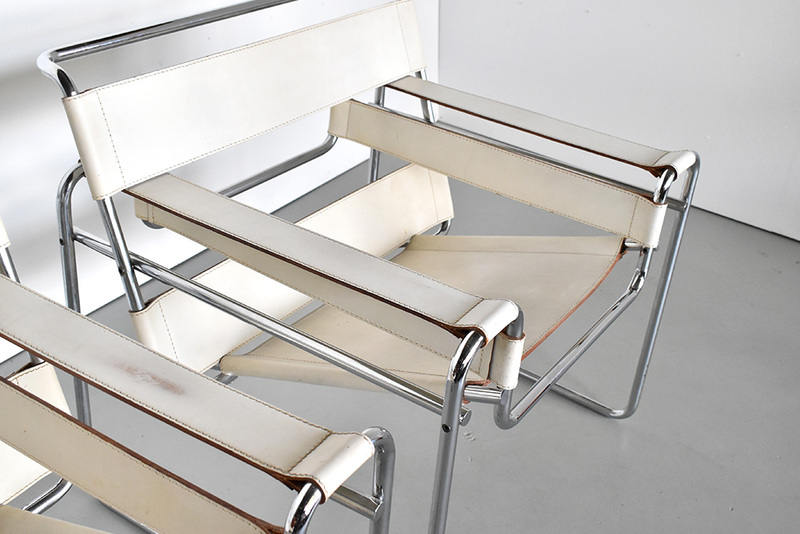 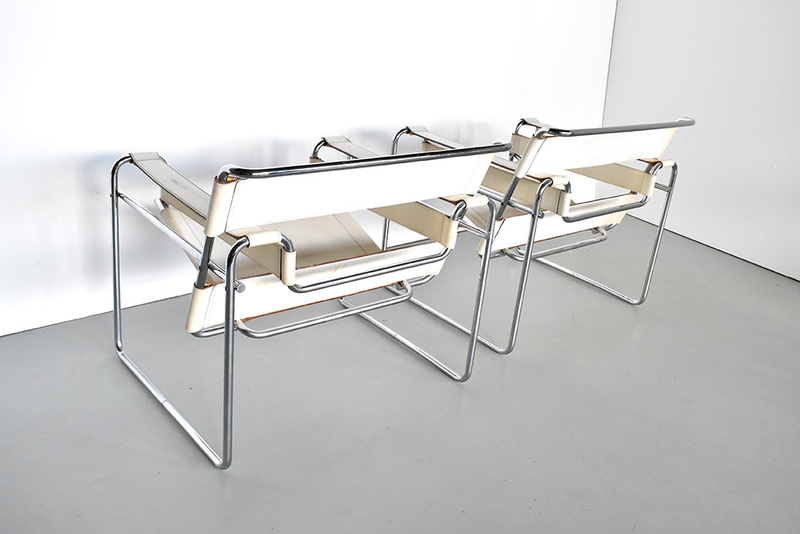 The Wassily chair was the only significant early Breuer design not offered by Standard-Möbel, Lengyel & Co.
After the War years, Gavina picked up the license for the Wassily, along with the Breuer designs previously sold by Standard-Möbel, Lengyel & Co., and introduced the more recognized Wassily version that replaced the fabric with black leather straps, though the fabric version was still made available. 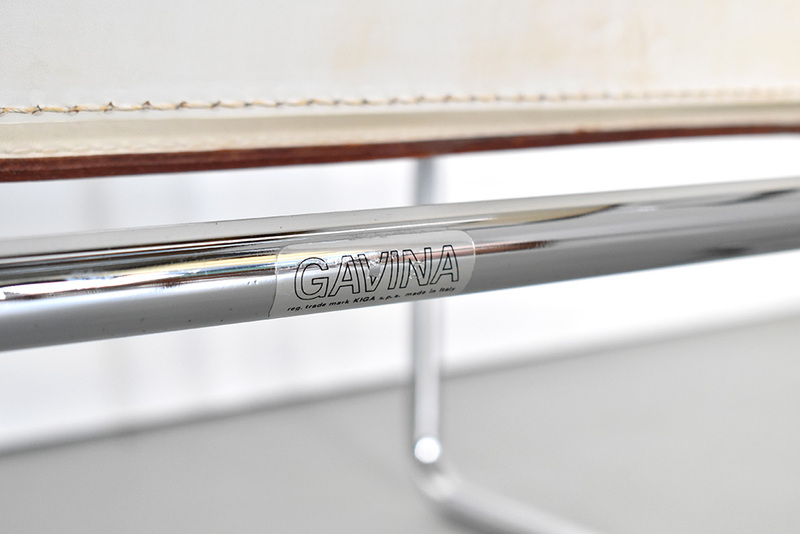 In 1968 Knoll bought the Gavina Group of Bologna. 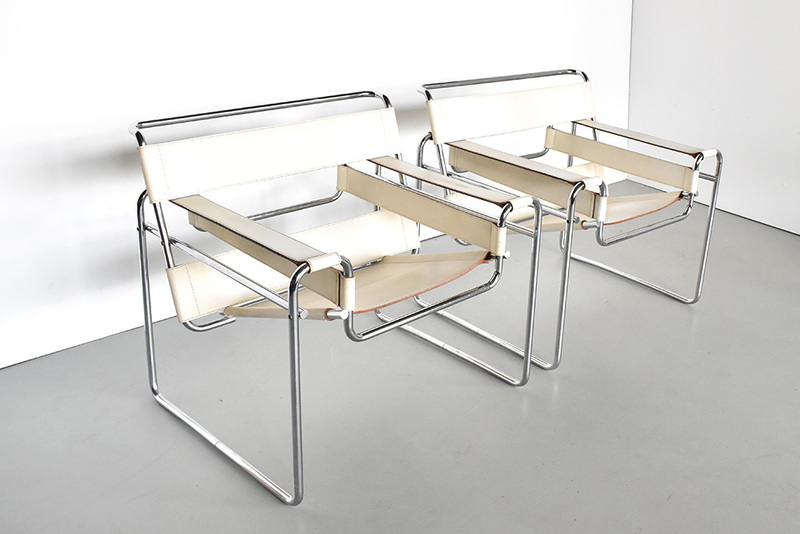 This brought all of Breuer’s design into the Knoll catalog. 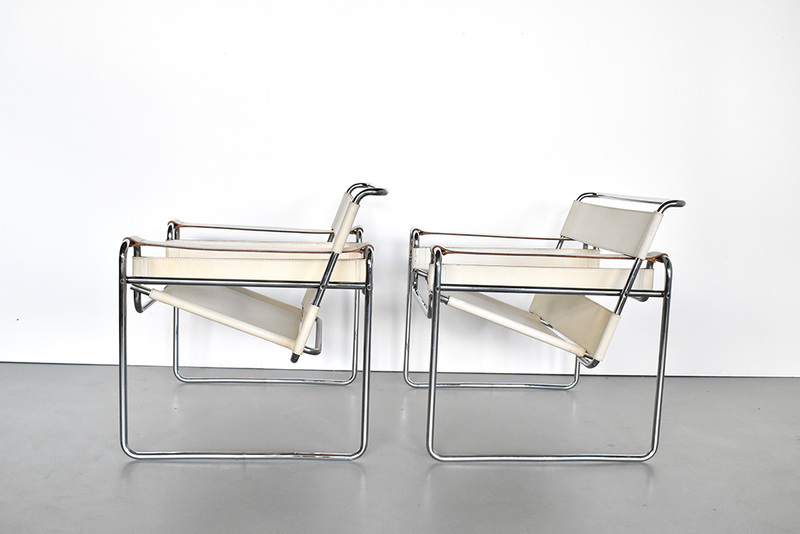 Condition: Good with some signs of usage as shown on the picture.